Journaling the Journey: Waiting till summer to clean your sinus? Waiting till summer to clean your sinus? No way I'm gonna wait the spring season to pass or to wait till I can dive in the sea to clean my sinus! I also got fed up of spraying stuff in my nosey or swallowing 'panadols sinus' pills. Recently I discovered a home based remedy for us sinus victims and it really works. It makes use of the 'Netti Pot'. Google it..now! 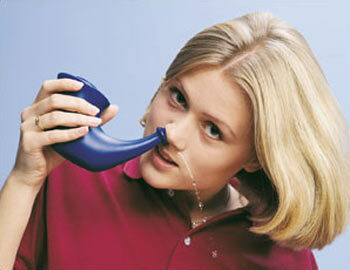 Basically it consists of putting salinated water from one nostril and letting it flow out through the other nostril. Then you repeat the process with the other nostril. I know it sounds gross, but this is very effective and is becoming very common worldwide.